IAEE sat down with Megan Tanel, CEM and 2015 Chairperson of the IAEE Board of Directors for a chat about her involvement with the organization and her journey in the exhibitions industry. Megan is the Vice President of Exhibitions and Events for the Association of Equipment Manufacturers (AEM) and is in charge of CONEXPO-CON/AGG, ICUEE, World of Asphalt, IFPE, CONEXPO Latin America, Bauma CONEXPO Africa, Bauma CONEXPO India shows. Basically, she’s a busy lady! Just recently, Megan sat on a “power panel” at the highly successful Women’s Leadership Forum in April 2015 in Washington, D.C. Megan, along with fellow panelists Carina Bauer, CEO of IMEX, Sandra Matej, Executive Director of the San Antonio Convention & Visitors Bureau and IAEE’s EVP and COO Cathy Breden to discuss the leadership role that women do and should play in the exhibitions and events industry and how they achieve a work life balance. View the recap of the event here. I truly “stumbled” into it. I was dating a guy whose Dad played baseball with who was then the Show Manager of CONEXPO-CON/AGG – Dennis Slater. 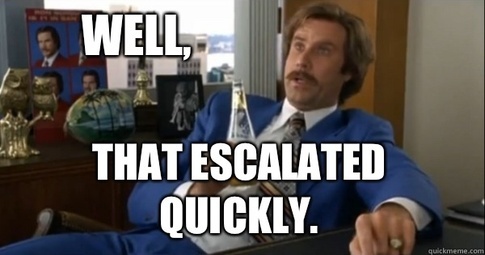 Dennis offered me an internship during my last summer of college and then hired me upon graduation. The rest is history. And thank goodness I didn’t marry that boyfriend…he’d served his usefulness with the introduction. Always ask the question – you never know what the answer will truly be unless you ask. 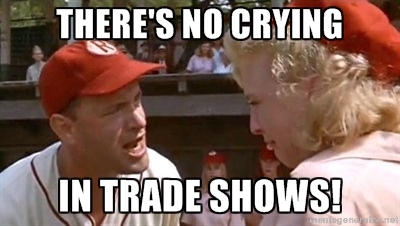 There’s no crying in trade shows. Things can get tough and frustrating but no reason to let them see you cry (tears or whining). You can’t talk logic to crazy. I think this is self-explanatory. Our timing makes it challenging. We are big and make an impression but being every three years makes us the show that some love to hate. We also have to keep our brand alive since we’re not an annual show. Extending the show brand year round is key to attendee acquisition and retention. I like quoting Will Farrell movies. I also like finding a song that goes with any and all situations. Any final thoughts to leave readers with?